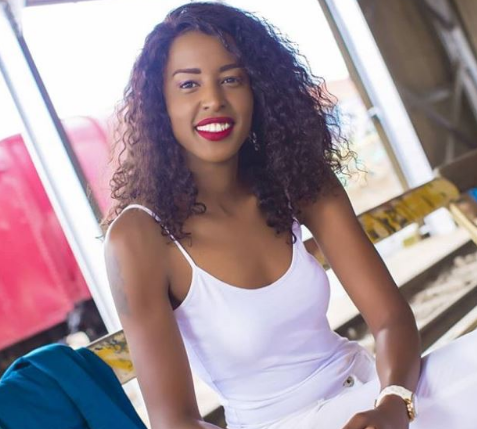 Homeboyz Radio presenter Sheila Kwamboka was having just another lovely day enjoying the sunny beaches of Zanzibar until a certain fan posted a comment on her instagram page that threatened to ruin the whole trip. 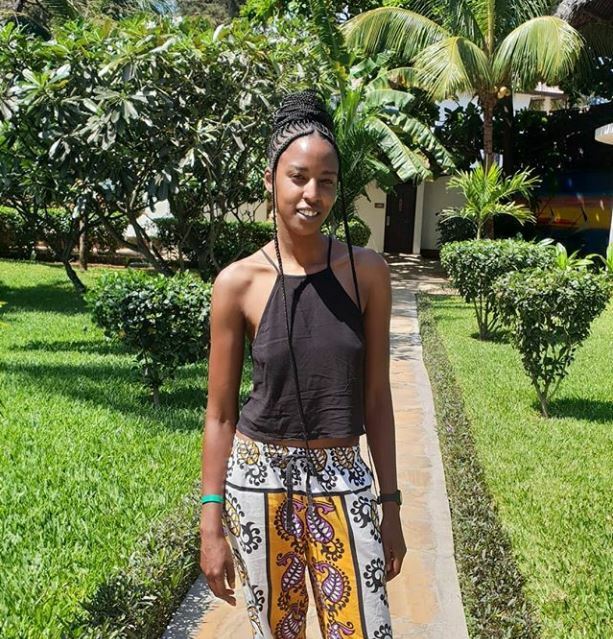 Kwamboka, who is in Tanzanian for holiday, has been sharing photos on social media in bikinis and beach wear leaving team Mafisi in utter pain. 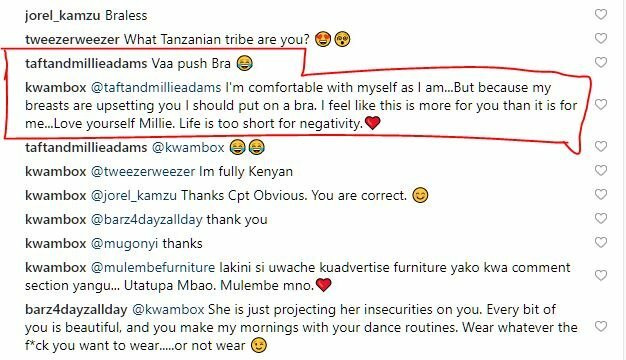 A fan commented on one of the photos asking the former K24 reporter to wear a push up bra to accentuate her small breasts. Kwamboka was not happy with the comment and fired back asking the fan to stop with the negativity.